Nokia 8.1 is all set to become HMD Global’s next smartphone at an official unveiling expected early next month, on December 5. However, just ahead of its launch, alleged official marketing material and promotional posters have been outed. 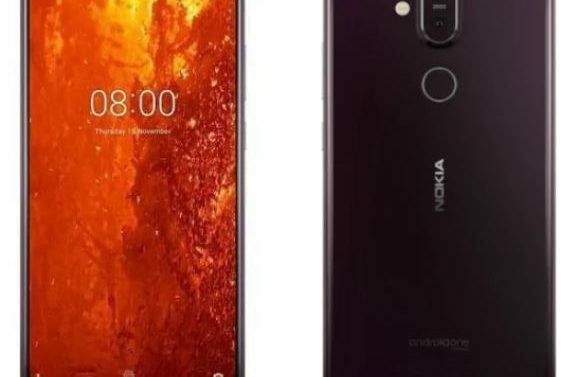 The leaks suggest that the Nokia 8.1 is indeed the global variant of the Nokia X7, and is the phone which was previously codenamed Nokia Phoenix. The leaked marketing posters show off the design elements of the upcoming smartphone apart from its key specifications and features. A report by NokiaPowerUser gives us a look at the leaked marketing posters of the Nokia 8.1, just days before the expected official launch. The first few shots show the design of the Nokia 8.1, which resembles that of the Chinese Nokia X7 – with the same display notch, Nokia branding on the bottom chin, a vertical dual rear camera setup, and the circular rear-mounted fingerprint sensor. Other than that, the posters reveal a 20-megapixel selfie camera, Android 9.0 Pie, a Qualcomm Snapdragon 710 SoC, a 6.18-inch full-HD+ display panel, and a dual rear camera setup with OIS and Zeiss optics. It is also shown to sport the same dual-tone anodised metal frame as the Nokia X7. Obviously, the Nokia 8.1 will run an Android One-based stock version of Android Pie out-of-the-box, as has been the case with all new Nokia global handset models. It is rumoured that yet another, premium, Nokia smartphone might also be unveiled at this HMD event next month. This could be the much-awaited Nokia 9 flagship. If indeed true, the Nokia 9 could sport premium specifications such as a 6.01-inch display without a notch, a penta-lens rear camera setup, and Qualcomm Snapdragon 845 SoC coupled with up to 8GB RAM and 256GB inbuilt storage.